Benro Travel Angel Tripods. Helpful Guide. Are They Any Good? 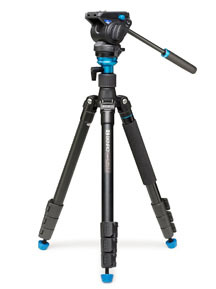 You're looking to get one of the Benro travel angel tripods but don't know which one to get. You want the benefits of compact and easy to carry. 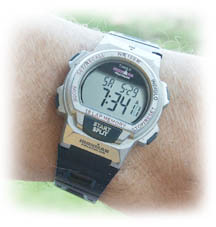 It's got to be sturdy and durable and it must fit into your price range. You can do an extensive search, like I did, but you might find it a bit confusing......like I did. 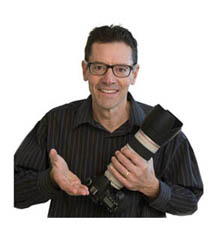 When I wrote this article there were 56 different Benro Tripods on the Benro company web site. How'd you like to avoid the confusion and not waste time analyzing so many options on tripods? I've got a better way for you. It's a simple and quick, step-by-step method to find the best benro tripod. You'll find out which of the benro travel angel tripods is the best fit for you. 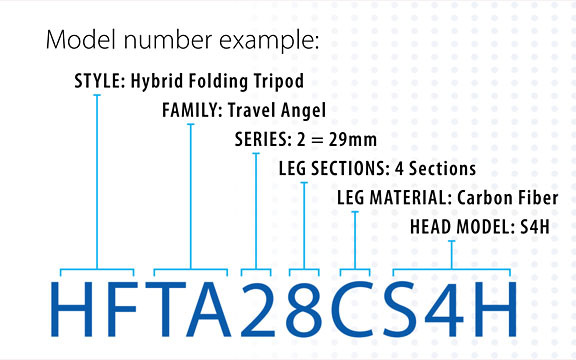 But first, check out the crazy numbering system that Benro uses for its tripods. This is fine if you work for Benro or are a geeky tripod collector and have a large set of Benro tripods and need to catalog them to keep track. but what about you and me? We need to keep things a little understandable and more practical. We understand this naming system helps the Benro company to keep track of all of their tripods and monopods. They have so many models, but we're just photographers looking for the best light tripod for our shooting situations. You and I. We just want a simple way to find which one is the best tripod for you. The following video will give you an idea on why the Benro Travel Angel Tripods are so popular. You'll see how they fold up so compactly and set-up so quickly. It's worth the two minutes to watch it. Your 3 most important considerations when it comes to the physical (NON-Financial) characteristics are maximum height, minimum folded length, and weight. You may want to have the maximum height tall enough to give your camera strong support at your eye level without bending over. This adds length and weight to your tripod. Having the center post fully extended can also produce a little bit of wobble, particularly with lightweight and cheaply made units. If you are only shoot a few photos and don't need your camera to be at a full height, you can save money by going smaller and lighter. When I shoot standing portraits of families and business headshots I need a tall tripod. In these situations I need my tripod to be at or above the eye level of my subjects. Make your tripod maximum height requirements based on the type of photography you do. 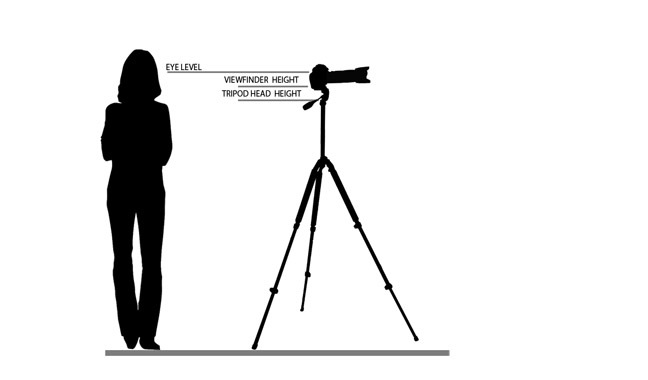 Here's an entire article on how tall your tripod should be. The minimum length of your folded tripod is the single biggest consideration for many travel photographers. You want your tripod to fit in your camera bag or suitcase with no issues. The Benro travel tripods have an innovative folding design that give you the ability to pack, them in small places. With some photography it may be desirable to have a low camera level for a different perspective. Short center columns, like the Travel Angle's are a necessity when shooting low to the ground. When I photograph babies, young children and with some of my nature photography I need to have a low camera angle. One of my Manfrotto tripods has only 3 leg sections and a long center post, so it is not capable of low shooting angles. If you are traveling, the folded size of your tripod is critical. I have a Rocketfish carbon fiber tripod that fits in my carry-on luggage. The Travel Angel is great for this too, although it's not a super lightweight. You want your travel tripod to be light, but of course the heavier it is, the sturdier it performs. Carbon fiber tripods are the lightest and sturdiest combination but they come with the "sturdiest" price tag too. Weight is all relative and it really does depend on your needs and uses. I currently have 5 tripods but really only use 3 of them extensively. My first "professional" tripod was a Bogen-Manfrotto 3021 with a 3047 pan-tilt head that weighs in at a whopping 9 pounds. I only use it know when I shoot multiple team photos. It's rock solid and I only have to move it a few feet for each team pose. I purchased it when I was in photography school in 1981. Here is a simple way to find the right one. You can find the best tripod by combining a simple list of your desired features with the highest rated tripods. Write down what's important, the features that you really want in your next tripod. 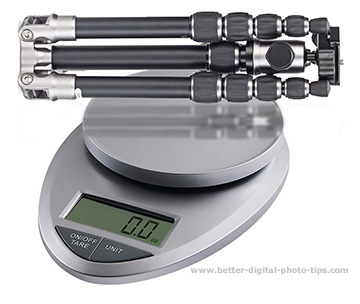 As an example, your list might include 1)a compact tripod less than 16 inches long, 2) it weighs less than 3 lbs. and 3) it has a price tag under $100. Here's what you do. Go to Amazon and select "Electronics" in the drop-down search box. Type in the words "benro travel angel"
In the left column, select the 4-star & Up option to filter your results. 4. Satisfy your budget. Select one of the pre-set price ranges or you can write in your own range of minimum and maximum price levels. This will get you to the highest rated tripods in your price range! You can buy your new Benro Travel Tripod (or one that you find to be a better fit for you) from YOUR favorite retailer. You can use Amazon just as a research tool only. I started buying products from Amazon in 2003 and it became my favorite place a few years after that. The truth is you can get good deals on Benro tripods from a lot of sources. Dedicated camera retailers like BHPhoto, Adorama, Samy's, Abes of Maine, or Cameta carry larger selections than box stores, but online camera equipment buying is so darn quick and easy. My confession: I am an Amazon addict. Amazon is really a powerful search engine like Google or Youtube. You can use it as a tool to find out a lot about any product. In Amazon's case, it's a useful research tool for you for camera equipment. My disclaimer: I get a little financial "thank you" from Amazon if you happen to buy something there. It's part of their affiliate program. It costs you nothing. You still get the same prices, return policies and delivery options. The Truth: Even if I wasn't an affiliate with Amazon, I'd still use the search-and-read-reviews method on evaluating produces. It's too good of a resource for you to ignore using it. A funny thing happened when I selected the $50-100 dollar filter in the left hand column of the search results on the Amazon site. I had already selected 4-star and Up reviews as the first filter. Only two results were left. One of the tripods was the Benro A1690T. It had a nice healthy average 4 star rating and was available for just under $100. The surprise result was not a Benro Travel Angel. It's the Dolica shown in this ad on the left. That has a higher rating AND was being sold for about $30 less than the Benro. You could also add a monopod to the Dolica travel tripod for only about $4. You have to decide on your own, but to me the choice would be obvious. Another player you can consider for a light travel tripod is the Manfrotto BeFree travel tripods. Manfrotto is a name that has been associated with quality photography products for many years. You're probably like most other photographers, myself included. You're looking for smaller and lighter. This has been a trend for digital photography equipment for several years. What's the biggest Benefit of Using a Good Travel Tripod? The best part of getting a good travel tripod is not its portability, stability, or durability. No, I believe it's actually a benefit that a lot of photographers don't talk about. It seems we're always in such a hurry. That's true with our lifestyle in general, but I've noticed it's so true with our photography too. Life is complicated full of constant distractions. Tripods force us to slow down. Whether it's' by using a benro Travel Angel tripod or any other decent tripod made by somebody else, taking the time to set up your tripod gets you to take a more thoughtful approach to your photography. Rather than Look, aim, and quickly shoot, we tend to notice, observe, and think more deeply before we shoot. The end result we all want as photographers is to get great photos. Use your tripod more often to slow yourself down. Having so many choices is a great situation for us. As more and more manufacturers compete with products and innovations, you get more selection and cheaper prices. Just simplify your selection process. Hurry up and slow down with your photography. ;-) Good luck in your search on Benro travel angel tripods!